Why the Cool Lipolysis Vacuum Procedure Is Different? It is the non-invasive cooling of adipose tissue to induce lipolysis - the breaking down of fat cells - to reduce body fat without damage to other tissues. It is fundamentally different from other non- or minimally invasive modalities. Other methods of fat removal primarily involve necrotic cell death by damaging fat with heat, high-intensity focused ultrasound, or chemical injections. Each approach poses potential technical challenges, particularly with respect to targeting the right tissue depth and unintended damage to other structures close to or within the fat layer. Predictability of efficacy using these other techniques isalso uncertain. In contrast, the Cool Lipolysis Treatment induces apoptosis only in fat cells to gently and gradually reduce the fat layer while preserving all other tissue. As triglyceride in fats will be converted into solid in particular low temperatures,It uses advanced cooling technology to selectively target fat bulges and eliminate fat cells through a gradual process that does not harm the surrounding tissues,reduce unwanted fat, When fat cells are exposed to precise cooling, they trigger a process of natural removal that gradually reduces the thickness of the fat layer. And The fat cells in the treated area are gently eliminated through the body's normal metabolism process, to eliminate unwanted fat. This is a treatment method of natural fat cell destrution by applying cool temperature to the fat for a certain time,which does not affect the surrounding cells but delivers on fat cells selectively. Fat is destroyed naturally through the apoptosis process.In 7-90days ,fat cell is removed by lymphatic syatem and it is finally reduced with shape change. It is different by the treatment area and its size,but normally it takes about 20~60 minutes.After single treatment,body shape changes naturally in 30~90 days. What is the Ultrasound Cavitation Treatment? 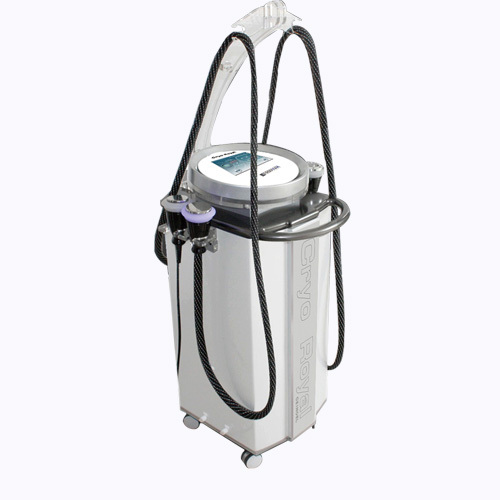 It uses a 40kHz focused ultrasound cavitation effect, to cause tons of microscopic air bubbles to surround the lipocyte (fat cell) membranes and with its resonant frequency, the bubbles cause a high enough pressure to cause the fat cells to break up instantly. The broken lipocytes are then moved to the liver and safely metabolized out of human body which is assisted by drinking a lot of water. It produces lipolysis of fatty acids from adipocytes (fat-laden cells) due to a phenomenon known as stable cavitation, and increased cell permeability of the adipocytes. You get an increased flow of triglycerides. Furthermore, there is a breakdown of the fibers through mechanical action (jet stream). Finally, some content of adipocytes is metabolized by the liver and eliminated in the urine. The vibration of ion(positive and negative alternation of sound waves) produces a strong wave of pressure to fat cell membrances,Usually a fat cell membrance cannot withstand this pressure,it will explode into the liquid content and reduce the quantity of fat cells. The vibration of ion could transform into heat,it is a thermal effect under the skin.Such effect promote blood circulation,decompose cellulite,soften the liquid content and reduce the quantity of fat cells. Promote blood circulation,decompose fat cells.reduce cellulite,tighten skin tissue,improve wrinkles of cellulite,so as to make skin young,smooth and elastic.